We recently had our first Facebook Live at a very special, never before used location: the production floor at the Joya de Nicaragua Factory in Estelí. 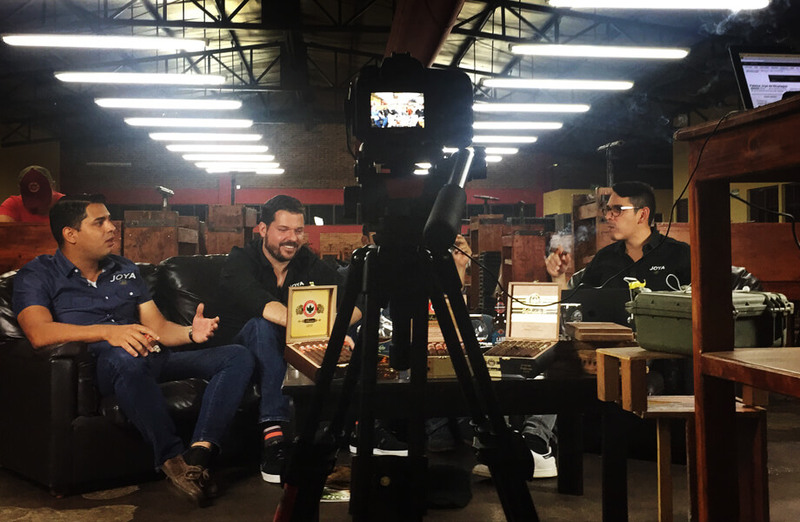 We used this opportunity to talk about the Antaño family and its newest addition, the Antaño Gran Reserva. Juan Martínez, President of Joya de Nicaragua was accompanied by Mario Pérez, Sales Manager, Carlos Zuñiga, Creative Director and Yasserth Reyes, our product development specialist. 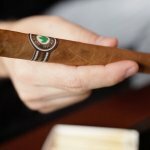 They talked about the Antaño family and the unique characteristics and most recent reviews of the Antaño Gran Reserva. Facebook Lives are a great opportunity to connect with our audience, so this time we asked our viewers: What would be your ideal Antaño Gran Reserva pairing? We got a lot of great answers, some were familiar pairings like Flor de Caña rum. However, we got some really cool answers like chocolate mousse or Jacob’s Creek Double Barrel Cabernet Sauvignon. We’re happy to announce that the winner of a personalized vintage mold and a Joya de Nicaragua hat is Matt Tye! What would be your ideal Antaño pairing? What other contest would you like us to run during our Facebook Lives? Let us know in the comment section below!